"Um, okay." Summer is most likely not going to do that. She's alright with not sleeping, and she's had sleeping difficulties for so long she feels like crap when she does sleep. "I guess I'll leave you to it"
Having retired to her room and changed into an oversized t shirt for sleeping in, which was similar to a short nightdress, Cassie sat on her bed studying the wound on her knee. Previously she had cleaned it in the shower. Although it stung to high heaven, she felt comforted that there was no longer a chance the cut would get infected. She could now see the initial cut with two distinct puncture wounds close to it. Meanwhile Victor and Robert were sat on opposite ends of the sofa, Victor skimming through a book and Robert listening to music through an old walkman. He had no idea that they were so dated in 2017 and was still amazed by all the technology. After all, when he was born they were still using gramophones. Victor, being the youngest out of them, was happy to show Robert new technology if it meant he'd stop trying to make conversation so much. Flopping back onto the sofa, Robert whined. "I'm so hungry..." The boy turned towards his dark-haired housemate "Vic, I haven't eaten in ages." "If you want to ask one of the dolls then go for it." Victor responded, not even looking up from his book. "Although if you do then I'll have to be there, just in case something happens." Last edited by Water on Tue Jun 12, 2018 10:22 pm, edited 1 time in total. In her room, Summer is making the list of things she'll need for her cartoon. After heading up here, she had had a shower and changed into something more comfortable for potentially sleeping in. She is now wearing a short sleeve t shirt and a pair of comfortable shorts. She wonders what characters she should have. It'd be funny, she thinks, if the characters were more exaggerated versions of everyone in the castle, including the vampires. Briefly her mind wanders to wondering how it would end up feeling when any of the vampires ended up feeding from her... She shakes her head to snap out of it. What kind of stupid thoughts are those? She puts her earphones in, hoping the music will help her concentrate on the task at hand and keep away any stupid thoughts. "Heyyyyyyy... I'm kinda really hungry and wondered if one of you guys could.. ugh Watch? " Putting his book on the coffee table Victor stands up, straightening out his clothes after. Turning towards Tanith spoke. "Mhm, alright. Have you asked anyone?" Although he was trying to be optimistic, Victor had to admit that the thought of something going wrong was dawning on him. He wasn't nervous, really, just slightly concerned. Robert, who was slightly frustrated that it seemed Victor was prioritising Tanith over him, tried not to show his emotion. Realistically, he shouldn't be too angry. However the talk of feeding was making him extremely hungry. "Vicky, come to me next." Baldur was in his own room, laying on his bed, idly humming to himself some music from his childhood while absently staring at the ceiling with one arm behind his head. He wasn't particularly tired so decided to go and see if he could get into some fun. As he left his room, he heard quiet voices. He followed them until he found Victor, Robert and Tanith talking about feeding. "Jeez, don't bleed them dry on their first night, eh?" He chuckled absently while sitting down heavily into his favourite armchair. 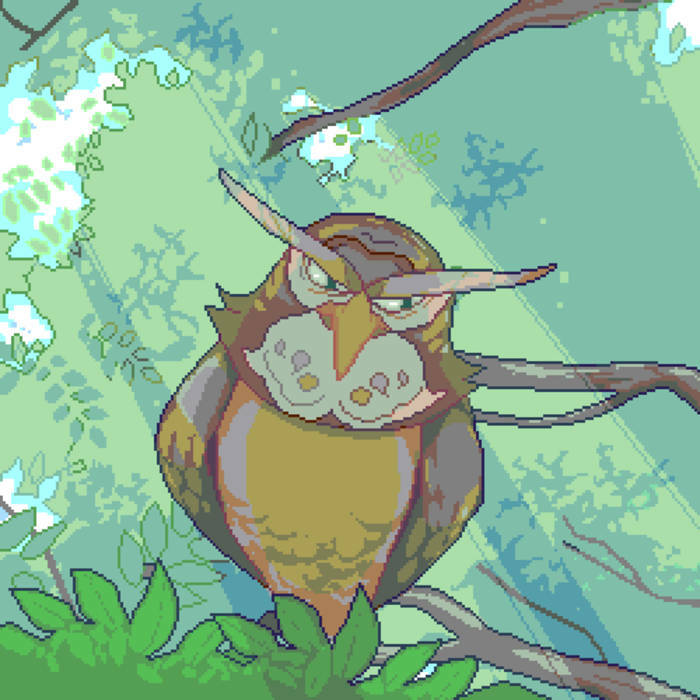 "They say that the owl named Kaepora Gaebora is the reincarnation of an ancient sage." "Hopefully it won't happen...again. They all look so delicious....Robert you asked first didnt you? I can wait alittle longer you look starving "
"No. Don't worry about it." Robert concluded. It was probably best to let Tanith go first anyway. Smiling to show that it didn't bother him, the boy spoke again, nodding towards Baldur as he walked in. "I'm just interested in who you're going to go for, Tanith." He chuckled, treating the act of feeding as something far more intimate than just food. "Between us," Victor began, resting on the arm of the sofa. "Cassie was my first blood. And it was... pretty good." "I thought you disappeared after turning." Robert asked, tilting his head like a dog in confusion. "I did. She once cut herself and gave me her blood in a vial, for attention I guess. I kept it and consumed it when I first turned." "Wait. Were you and her... dating?" Robert was under the impression that the two were just friends or acquaintances. Despite spending time talking to Cassie, where most of the conversation topics were Victor, he hadn't gotten the hint. Victor simply shruggged. It didn't seem like he wanted to speak about it anymore. Summer finishes her list and picks up her drawing pad. She starts doing random sketches of made up people.